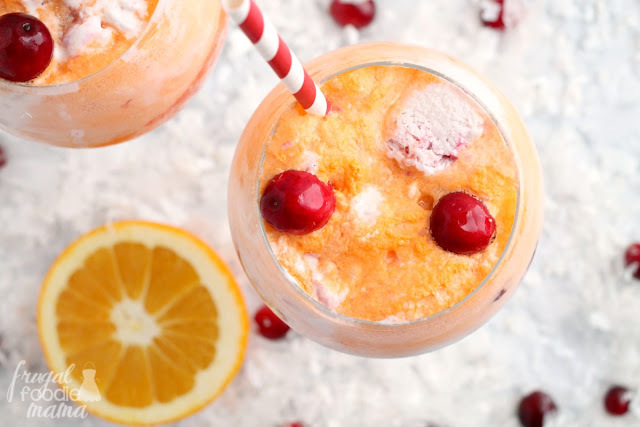 I know that the holiday season is usually all about the peppermint and gingerbread and eggnog (and trust me- I love all of those flavors too! ), but for me there is nothing more festive than the combination of sweet orange with tart pomegranate or cranberries. Candied orange peel is one of those recipes I have been wanting to try for myself for a while now. I have made candied lemon slices before, but never orange peel. 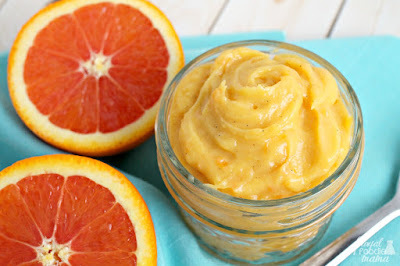 I used mandarin oranges (aka, Halos or Cuties) for this recipe mostly because my youngest is obsessed with them, but it seems like we can never get through an entire bag of them before they go bad. So this candied orange peel recipe is a great way to use up a few of them. And since mandarins are much smaller then regular navel oranges, their peels are already the perfect size for candying. 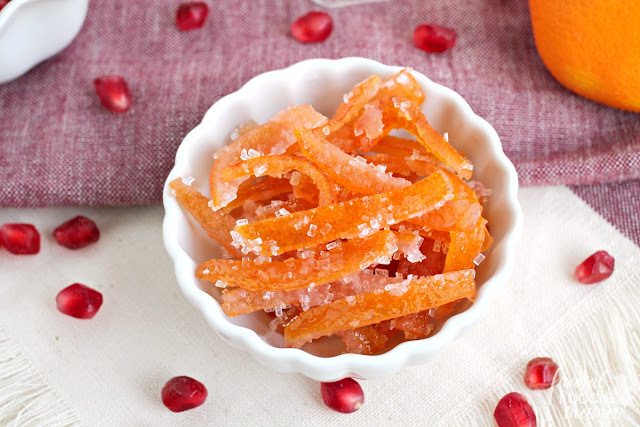 I just love how these candied orange peels turned out! 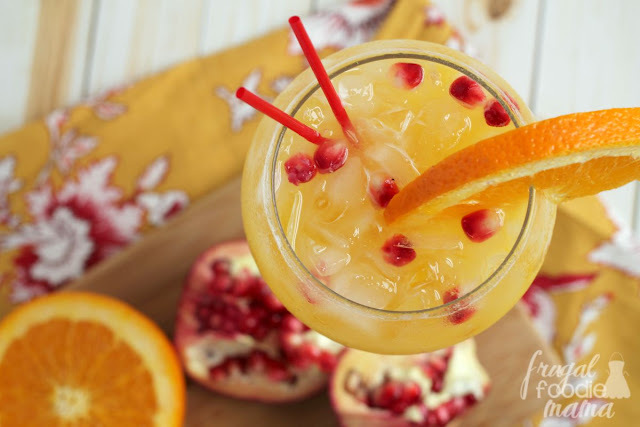 You get the sweetness and citrusy pop from the mandarin peel with just a hint of tartness from the pomegranate. 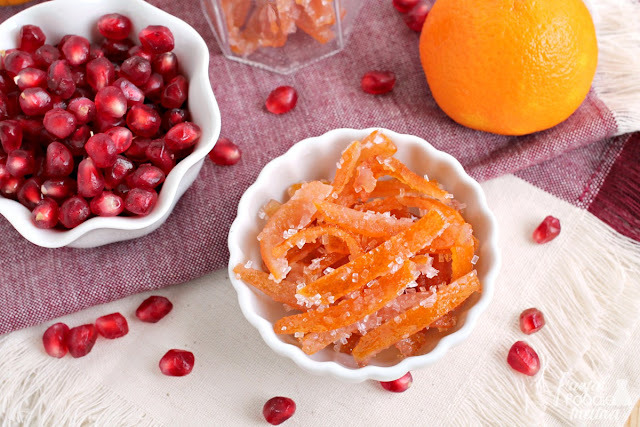 These Candied Pomegranate-Mandarin Orange Peels are perfect for topping your favorite holiday cupcakes or frosted cookies with, to chop up and add to that homemade scone or muffin batter, or even to toss into a cup of hot tea for a touch of sweetness and citrus flavor. For each mandarin orange, cut off both ends of the orange, cut a slit in the side, and unroll it so the individual sections separate. Then peel each section off, being sure to remove as much of the white pith as possible. Reserve the mandarin slices to snack on later or to toss in school lunches for the week. Cut the mandarin peels into 1/4-inch-wide strips. Cook in a large pot of boiling water for 15 minutes; then drain, rinse, and drain again. Bring the 2 1/2 cups of sugar, 1 cup of pomegranate juice, and 2 cups of water to boil in medium saucepan over medium heat, stirring to dissolve sugar. Once the sugar is completely dissolved, add in the peels. Return to a boil. Reduce heat, & then simmer until peel is very soft, about 45 minutes. *Be sure to keep an eye on the saucepan- this can boil over very quickly if you are not paying attention to it! I may or may not know this from personal experience. ;) Drain. Line a large baking sheet with aluminum foil. Place each orange peel in a single layer on the foil lined baking sheet. Sprinkle with half of the sparkling sugar, then flip the peels and sprinkle the other side with the remaining sparkling sugar. Let the peels stand at room temperature until coating is dry, about 1 to 2 days. 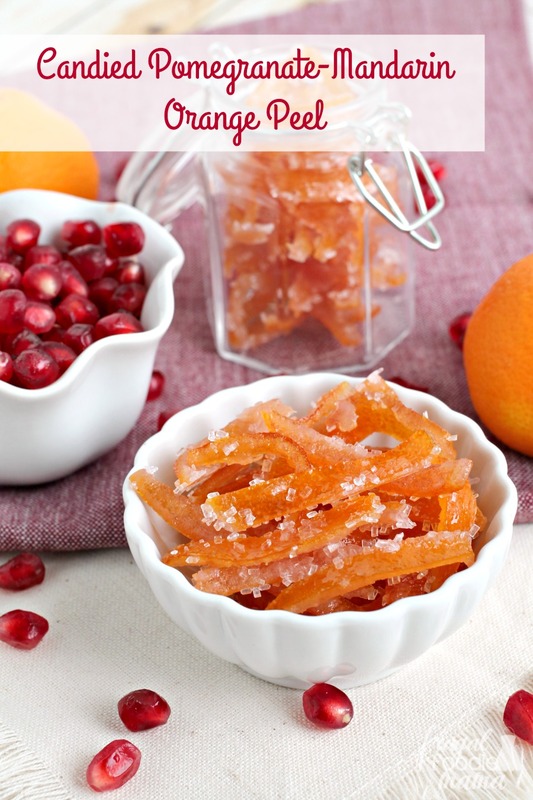 These candied orange peels would also make a fabulous DIY hostess or neighbor gift! 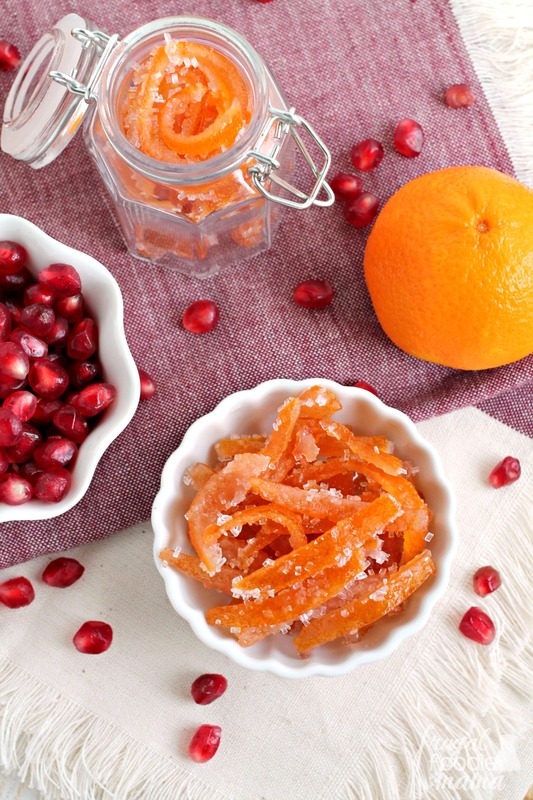 Just pop them into a pretty glass jar and tie with a festive ribbon.